China is mass producing plastic rice – and it causes some very serious health problems. China’s Wuchang rice is extremely popular and well-known due to its fragrant smell and distinct taste – costing almost double the price of normal rice. With the demand for Wuchang rice so high, companies have started to exploit the opportunity and create fake rice which they sell for the same high price. It is thought that China has been producing this fake “Wuchang rice” for at least four years, recreating the popular product using potatoes, sweet potatoes and some poisonous plastic for good measure. It looks just the same as the real deal in terms of shape and size; however, the plastic remains hard after cooking and is seriously bad for your health. An undercover journalist found out that, when producing the fake rice, Chinese companies are mixing a small amount of real Wuchang rice with plastic rice, which they then spray with a fragrance to replicate the original and package in the same way. It is thought that whilst 800,000 tons of actual Wuchang rice is produced every year, a terrifying 10 million tons of “Wuchang” is sold annually – meaning that over 9 million tons of the “Wuchang rice” bought every single year is fake. According to The Korea Times, distributors have stated that selling artificial rice is extremely profitable, particularly in the enormous quantities that are currently in demand. Companies have managed to get away with selling this synthetic product for over four years until they recently started to distribute it outside of China to countries such as India, Vietnam and Singapore. 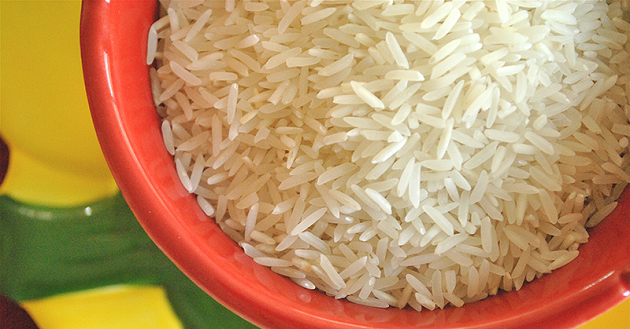 The National Food Authority of the Republic of the Philippines is now in the process of investigating reports of plastic rice and is utilizing a spectroscopy device to detect whether or not the rice in question is legitimate. A warning has also been issued. Eating just three bowls of this fake “Wuchang rice” is thought to be the same as consuming an entire plastic bag, causing serious and even fatal digestive issues, especially if consumed daily as is often the case. In fact, most people in China consume over half a pound of rice every single day, and recent health controversies have brought into light the question of whether or not it is safe to use plastic packaging in the food industry – let alone eat plastic rice! Research has found potentially serious health risks associated with bisphenol A and a class of chemicals called phthalates, commonly found in plastics. Bisphenol A has the ability to disrupt the functions of our hormones, particularly estrogen. It has been linked to effects on reproductive development in several animal studies. Meanwhile, phthalates are a group of “plasticizers” that are found in various products, despite having been banned in the EU since 2005. Phthalates can also disrupt hormones; however, unlike bisphenol A it is testosterone that is affected. Each of us likely has a detectable amount of both phthalates and bisphenol A in our bodies due to the contamination of food products that are stored in plastic containers. However, if consumed, the plastic rice in China will likely cause a massive increase in the levels of these dangerous chemicals. So far, there have been no reports of plastic rice in the U.S.; however, the fact that the rice was being exported and consumed outside of China draws into question whether or not countries are asking enough questions about their food sources before importing goods.